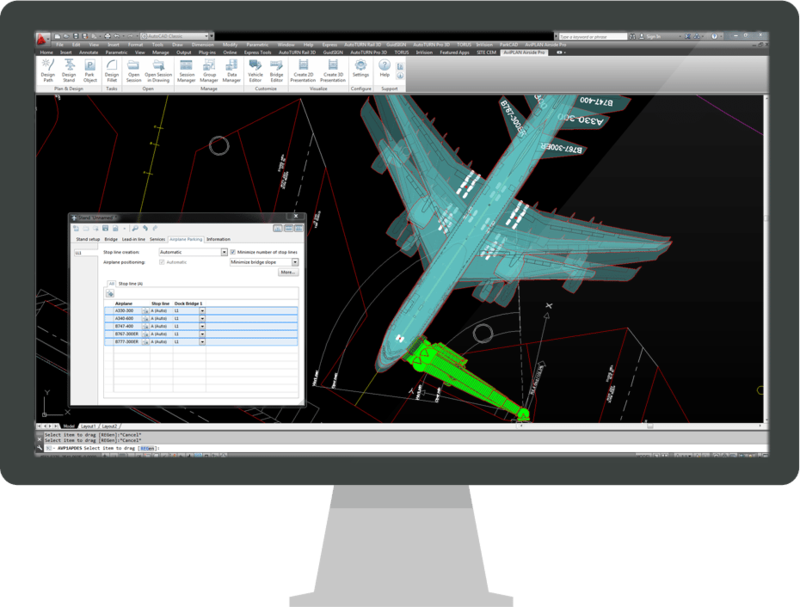 With a comprehensive 2D object library containing passenger, cargo and military airplanes plus ground support vehicles, AviPLAN Airside provides the core tools required for fast and reliable airside design and analysis studies. Engineers, architects, planners and designers can assess aircraft space requirements, jet blast impacts, taxiway traffic, contact or non-contact gate layouts and more with ease. AviPLAN Airside incorporates essential design tools and intuitive graphical interfaces, allowing users of all experience levels to generate aircraft maneuver and parking stand simulations with ease.